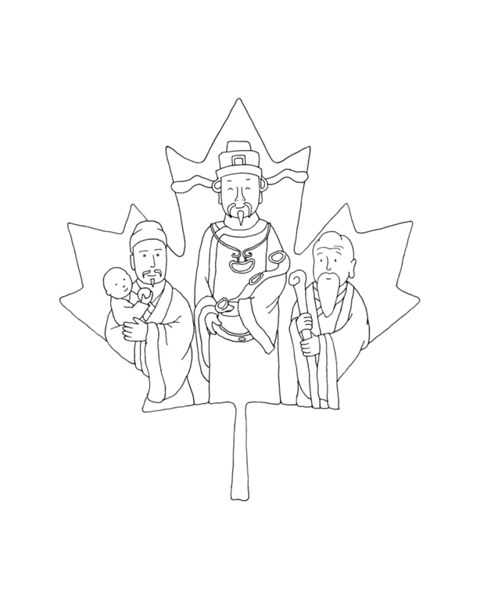 Not included in Inner Maple Leaves colouring book. A special occasion maple leave for celebrating both Chinese New Year and Canada 150. The 3 Chinese characters are Fu (left), Lu (Middle) and Shou (Right). Fu is Fortune, Lu is Prosperity, and Shou is Longevity.